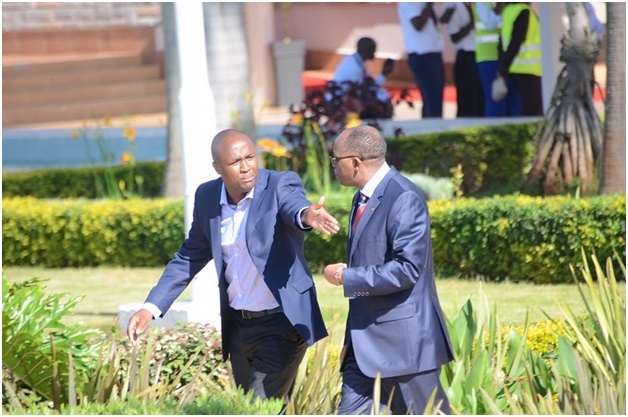 Tuesday April 9, 2019-Nandi Hills MP, Alfred Keter, has hit out at the Deputy President William Ruto for branding himself a hustler yet he is not. Venting on his official Facebook page, Keter said that despite Ruto being born as a hustler, he doesn't represent the common interests of Kenyans. He further said that in 2004, Ruto was charged for grabbing Ngong Forest Land and was released after word went round that he bribed a key witness with a parastatal appointment when he was the CS for Agriculture under the Grand Coalition Government. Mmmmm..... okay. Na wewe nawe na yule mhindi mama weighbridge? Alafu tena yule msee mhindi na centro bank? Au ni stori ya niani kutoona kundule? All of you are just thuggish in reality.